Allows flush mounted connection of 75 ohm coax cable through a wall along with phone line cord. Use for installations or replacement of modular four prong jacks. Tools Needed: wire strippers, wire cutters, Phillips head screwdriver. Connect existing phone wires from wall box to new jack taking care to match colors of wire to color coded terminals. 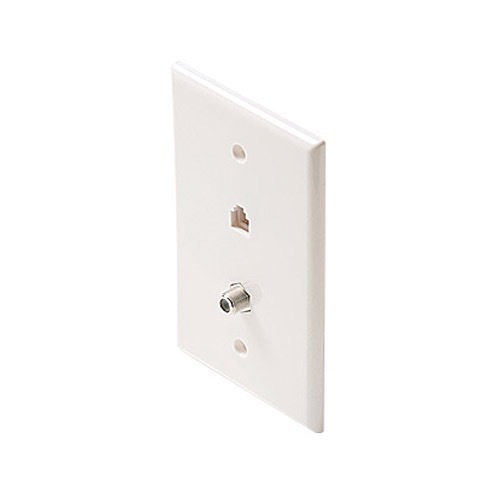 Replace flush mounted wall jack to wall box using screws enclosed.